Our guide in Isalo National Park, Roland, led us on a hike that ended in a climb up a 300-meter staircase carved out of the granite outcrops toward the center of the park. Although it’s the dry season, we found mud and plenty of moisture-loving species, such as sundews (a type of carnivorous plant that eats small insects), moss and lichens on our way up, thanks to a spring-fed stream that flows from the top of the hill. When we got to the top, we stopped to enjoy the waterfall there. While we watched, this little bird flew over top rest on a tree in front of the falls. I took a few pictures. 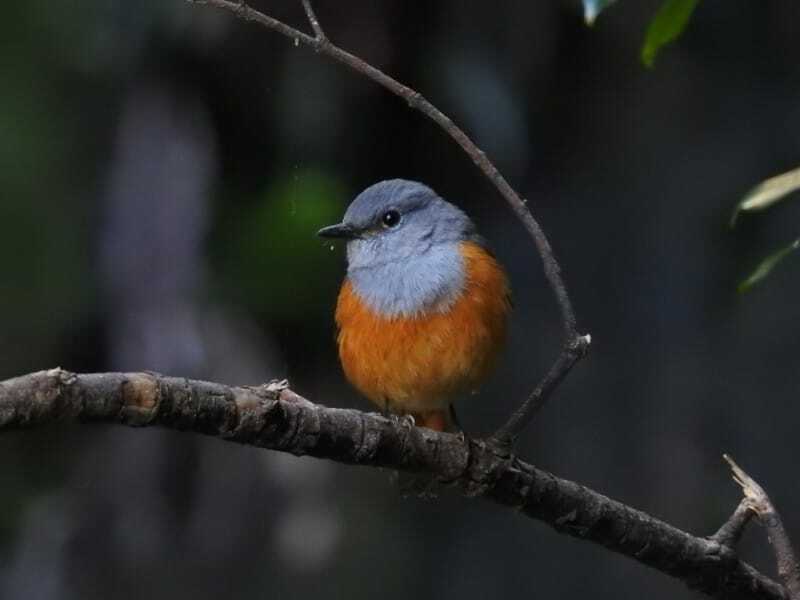 Previously, birds with this appearance were known to the English-speaking ornithologists as Benson’s rock thrush when they were found in drier areas of Madagascar, while those found in rainforest were known as forest rock thrush. They were believed to be different species. But according to Birds of the Indian Ocean Islands by Sinclair and Landgrand, genetic analysis has shown there’s not enough difference between the populations to justify separating them this way. Birds of Madagascar and the Indian Ocean Islands by Hawkins, Safford and Skerrett maintains that there is enough difference to justify maintaining a subspecies classification for Benson’s rock-thrush, so Benson’s rock-thrush it is.